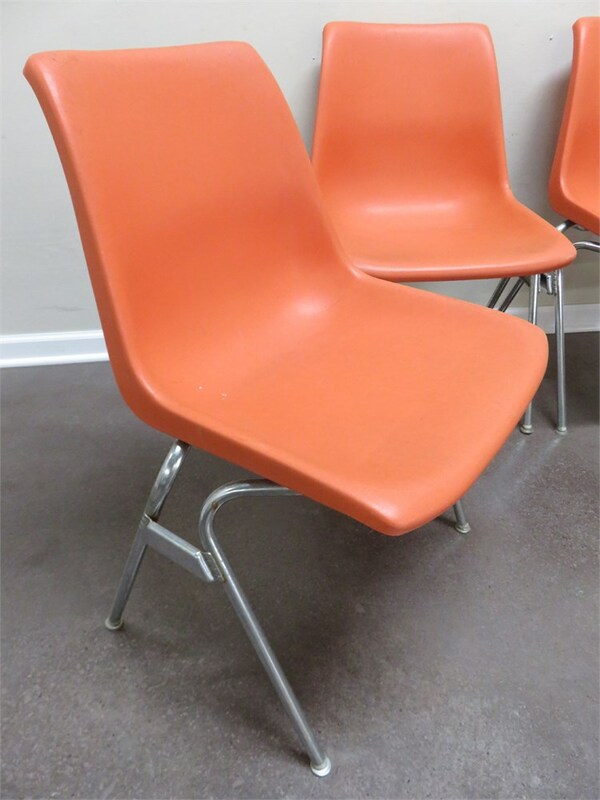 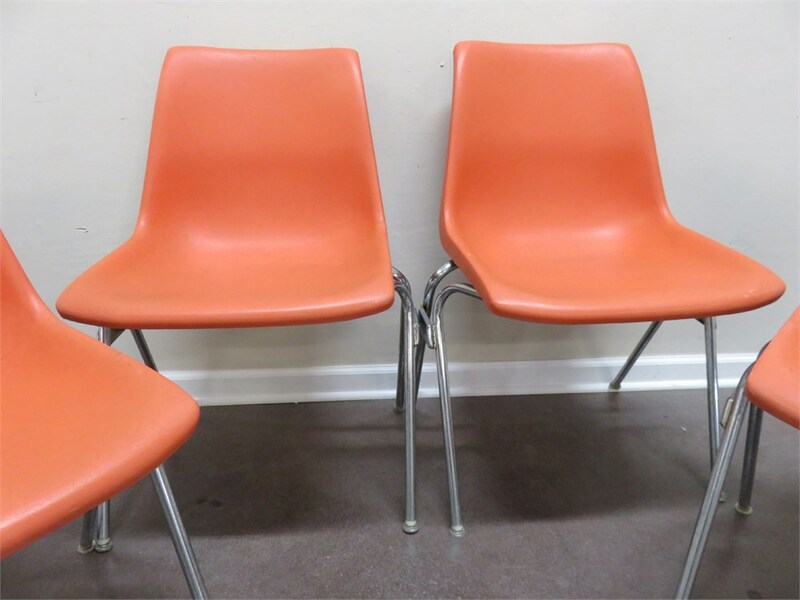 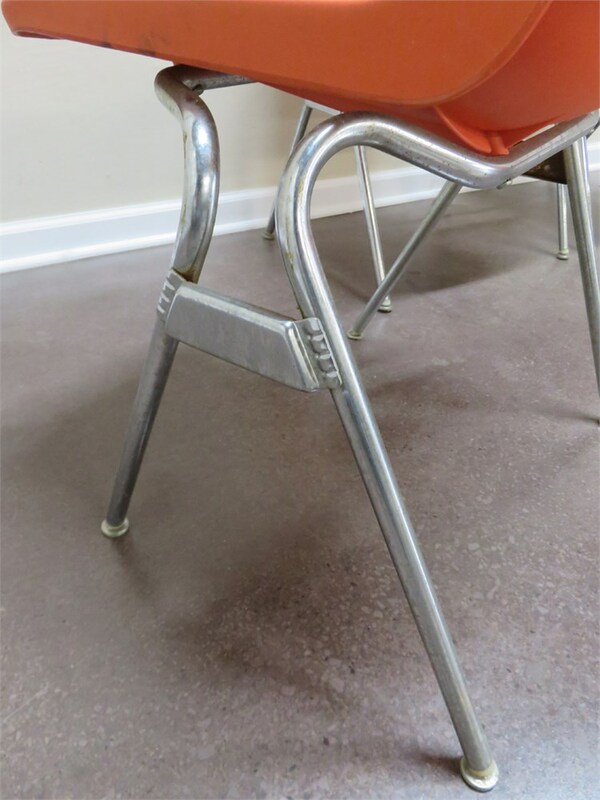 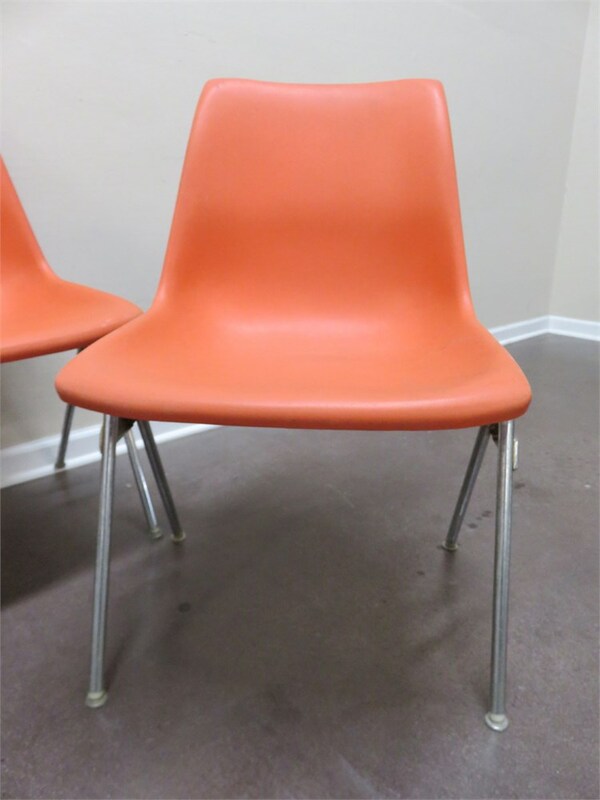 A lot of 4 vintage mid-century Krueger molded plastic seat stackable chairs in good condition. 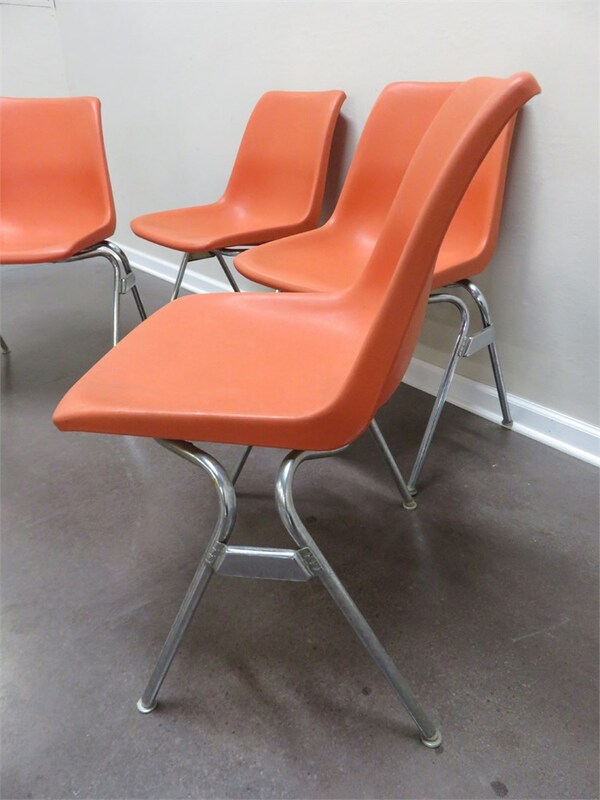 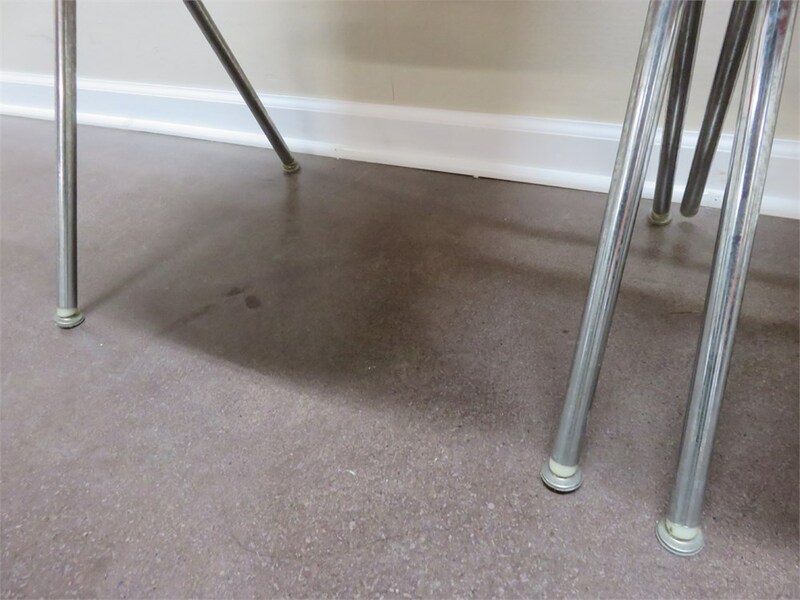 Seats show some minor scuffing and blemishes consistent with age and use. 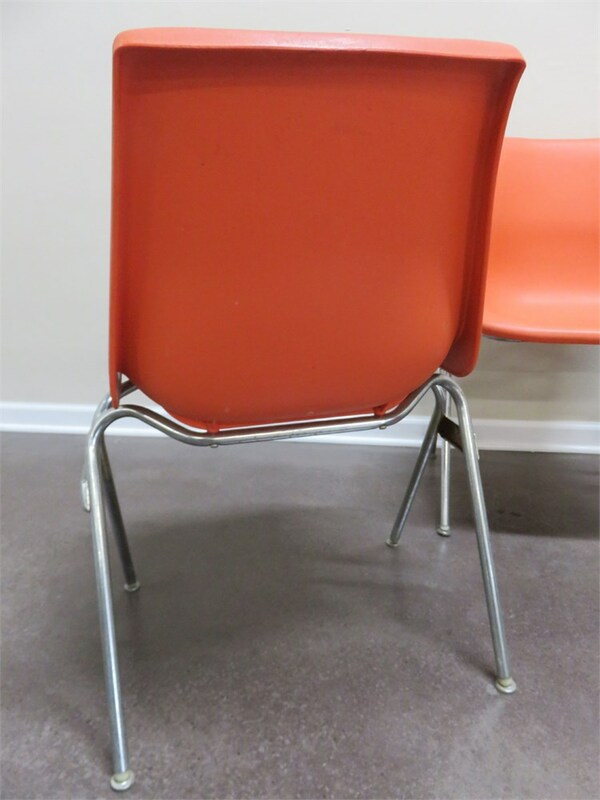 The chrome metal frames have typical scratches in a few areas. 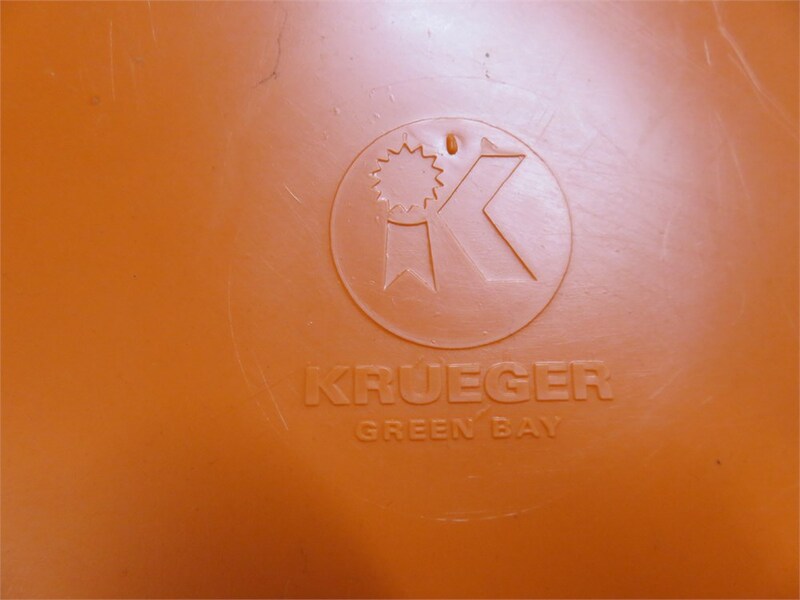 Manufactured by Krueger Metal Products, Inc. in Green Bay, WI. 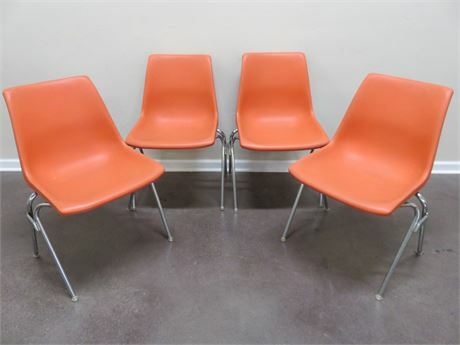 There are additional identical chairs listed in lots #119, #120, and #121.